CGPSC Forest Ranger & Assistant Forest Guard Recruitment 2018 - Job notification for 59 Forest Ranger & Assistant Forest Guard Posts in Chattisgarh. Online Applications are invited by Chhattisgarh Public Service Commission, Raipur from 08 Jan 2018 12:00 P.M. to 06 Feb 2018 11:59 P.M. for 59 vacancies. CGPSC Assistant Forest Guard & Forest Ranger Interview Schedule 2018: Chhattisgarh Public Service Commission, Raipur has issued the schedule of Assistant Forest Guard & Forest Ranger Interview 2018. 1. Higher Secondary or equivalent examination should be passed in Biology/physics/chemistry. 2. Must be graduated in at least one of the subjects of Agriculture, Botany, Computer Applications / Science, Environmental Science, Forestry, Geology, Horticulture, Mathematics, Statistics, Physics, Animal Science, Zoology. ₹15600-39100+5400 for Assistant forest guardian. 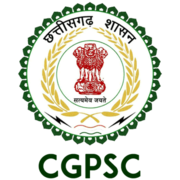 Eligible candidates may apply online at CGPSC website (direct link is given below) from 08 Jan 2018 (12:00 PM) to 06 Feb 2018 (11:59 PM).